From vibrant new start-ups to long-running firms who have been at the heart of their community for generations, small law firms make up the backbone of the legal industry. Moving from a paper-based to an online system can save a law firm up to 66% of time. That’s 66% of your time that can now be spent on other work – on billing more, on building deeper client relationships and on finding new business. 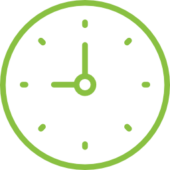 A case management system doesn’t just save you time. It automates the administrative side of your business, leaving company members to focus on higher value work that is both more interesting and more profitable. No more spending time searching for a lost file, scrabbling around various pockets for your receipts at the end of the month, or copying and pasting client details into a standard letter. Spend your time and your employees’ time on the work that matters. One advantage of SMEs is their level of flexibility – rigid or inflexible processes can significantly slow larger firms down. However, this does not mean that process is not important to SMEs, especially law firms where important processes such as anti-money laundering procedures must be consistently followed. Thread Legal helps you to implement the right level of process for your business; process that empowers your employees. When task assignments are unclear, work can be missed, delayed or duplicated, which leads to frustration. When employees have a clear understanding of their responsibilities and the deadlines involved, they can spend their best efforts in achieving them rather than in project management and coordination. With Thread Legal workflow management is clear and simple to set up, and frequently used workflows can even be automated so that your organisation is always focussed on achieving the best results. Many small law firms are too busy actually billing to analyse how they bill. Even when work is billed hourly, using spreadsheets or other systems to manage this takes significant amounts of time – as does coordinating multiple time and expense sheets from multiple individuals. The significant amount of time involved in the baseline of these activities means that law firms do not have the time to go any further than this. Thread Legal helps you to track time and expenses in real time, quickly and easily. This doesn’t just save you costly administration time. It also gives you the data you need to analyse your cases in real time and determine their profitability. 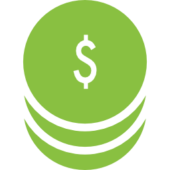 If you work on fixed fees, and now know that the time and expenses you spend on one particular type of case makes it consistently unprofitable, you can fix that. If you’re spending a disproportionate amount of time on one case because you’ve got a difficult client you can see the cost of this in hard data. This gives you the power to understand what is your most profitable work and to ensure that your business is spending the most time where it will get the most value. "I’ve Used a Case Management System Before and it Didn’t Work for Me"
A poorly built system. There are a lot of case management software systems available, and not all of them are equal. The founder of Thread Legal has over thirty years’ experience in the industry, so has a deep understanding of what lawyers need. This insight makes Thread a software uniquely suited to the way lawyers run their businesses. Poor implementation. Even a great software will be a hindrance if processes are poorly set up, and system functionality is not fully utilised. Thread Legal’s Academy does not just tell you how to use the system, it shows you step by step. This means that whatever you want to do with our system, we can demonstrate how to achieve your goals. Poor infrastructure leading to slow performance. No matter how many functions a system has, if it takes two minutes to open a file or a document this is going to significantly slow you down. 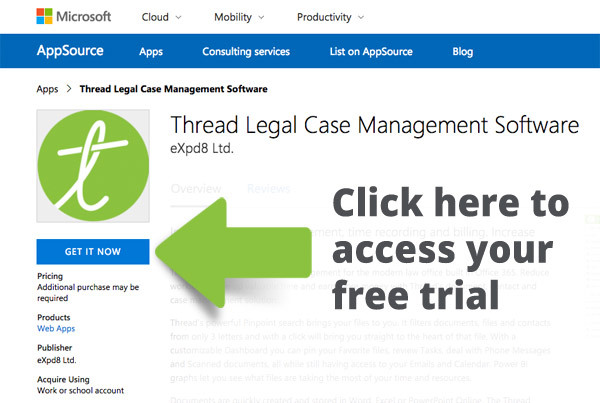 Thread Legal is built with Microsoft, and is hosted on their Azure databases. This means that your system is as fast as your internet connection – the Microsoft cloud can handle your system no matter how many files you have. Everybody was using it differently, and so no-one knew what other people were doing. I’m afraid we can’t help you with this one. Gaining buy-in from your staff is something that can only be done internally, and is critical for the success of any software implementation. In our experience ensuring that senior staff are using it correctly is key. There’s little use trying to enforce it with your paralegals if one of your senior partners is merrily ignoring it and still using their paper files. Whatever the reason for your bad experience, we can assure you that case management is something that’s worth trying again.